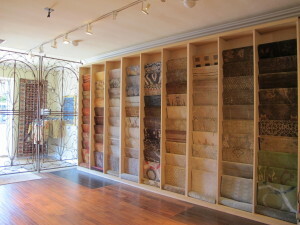 Our Los Angeles rug showroom specializes in handmade rugs. We have served industry professionals, interior designers and the public since 1980. We are the perfect source for a variety of your area rug needs, from custom rugs made to your specifications, modern and contemporary rugs to one of a kind antique Oriental rugs. Our diverse selection of Nepalese and Tibetan rugs provide you with a wide range of transitional and contemporary rug designs. Other collections consist of new handmade traditional rugs in popular classic patterns with modified and fashion forward colors. Whether you’re looking for a modern area rug to stylize a sleek room environment or a touch of the exotic from a Tibetan carpet that blends with your interior design, purchasing a decorative rug is an investment that will bring beauty and value to your home for generations. Our Los Angeles rug store showroom is located at 928A N. La Cienega Boulevard in Los Angeles in the La Cienega Design Quarter.